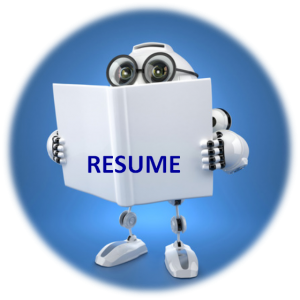 By Al Smith on June 26, 2015 Comments Off on Who is reading your resume? ATLANTA, GA Jun 26, 2015/ Troy Media/ – Once upon a time, in a world seemingly far, far away, a job seeker would sit down with the classified section of the Sunday newspaper and a red pencil (it always was a red pencil, wasn’t it?) then circle jobs that were perfect for us. We would attach a well thought-out cover letter to our resume, drop them into envelopes, add a couple stamps, march down to the post office and within two to three days, someone with two eyes and a brain would read it. That’s not the case today. Here’s how it works and why. In almost every case, your resume/application is not read by a human without first being scanned by a company’s Applicant Tracking System (ATS) software. The computer searches for keywords. If you don’t have the right keywords in the right quantity, you never get to a real person (with or without a brain). Now you know why they call it the Black Hole! Companies today can receive well over a thousand applications/resumes for a single position at a time when they have reduced HR department staffing to bare bones levels. Some recruiters are doing the work of three people, so don’t blame them. In fact, one Talent Acquisition Manager tells the story of receiving in excess of 1,200 applications for a single administrative assistant position. Let’s say a miracle occurs and your resume makes it into the grubby little mitts of a company recruiter. You only have two to six seconds to impress or you’re off the circular file. That’s right, your entire professional history compressed into a handful of seconds! So you better grab’em by the throat, but how? Unfortunately, using tables, columns, borders, lines and all the other things that can make a resume interesting to the eye (and brain) can make the ATS blow a gasket, so you can’t use them now. You can, however, create your own set of columns by tabbing over. Feature your skills, accomplishments, training and awards in this section. Use keywords if possible. Here’s where you should get creative; I suggest an Interview Resume. You can use charts, graphs, company logos, columns, bullet points and other methods to differentiate yourself from the other candidates. Since most Hiring Managers have never interview trained, by using an Interview Resume you can often guide your interviewer in any direction you want . . . But let’s get back to your resume. If you focus on satisfying the requirements of the first two Readers, you are much more likely to get the chance to talk to a Hiring Manager and get hired. Al is co-author of the Amazon Top Rated book, HIRED! Paths to Employment in the Social Media Era, is a Keynote Speaker, Career Coach and Resume Writer.